This is a simple, monochromatic card I made for my mom's birthday (today!). I used Mama Elephant's Happy die along with an old, unknown, cut-apart-from-the-happy birthday and some Doodlebug sequins. Great card! I really like this look. Perfect color choice too! Really love the die font, its so curvy and the monochromatic colouring is divine! Cute card Ardyth, I like the color! 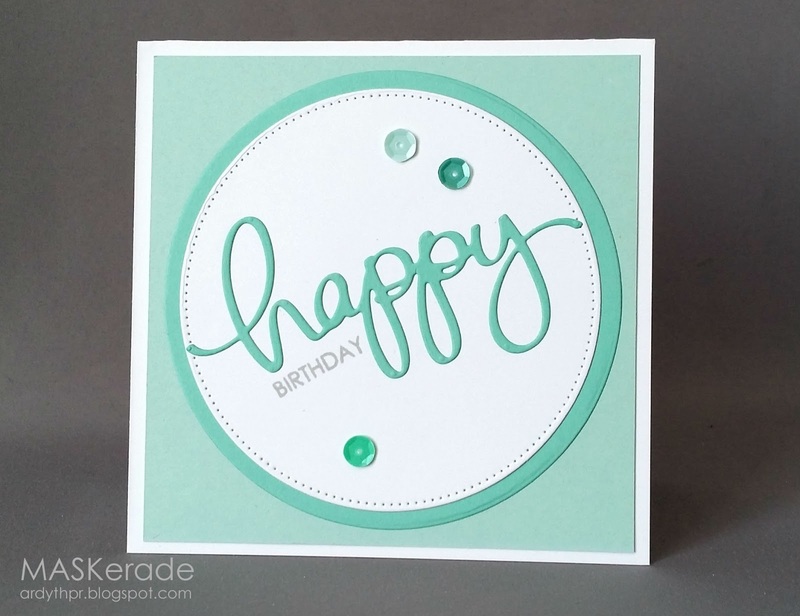 Such a pretty Happy die cut and it's so stylish against the pierced circle. Love the two shades of Aqua! Your mom will love this card! Sweet birthday card...love that beautiful blue. Oh, I love everything about this!